To improve patient comfort, diagnostic accuracy, and convenience, we employ state-of-the-art dental technology in our West Valley City, UT, and North Salt Lake, UT, dental offices. Dr. Christopher DeMille and Dr. David MacKay have invested in CEREC® to offer same-day dental crowns, inlays, onlays, veneers, and bridges. We also use a dental laser for soft tissue procedures, and our digital impressions negate the need for messy dental impression putty. We consistently use advanced technology, while maintaining reasonable fees and unwavering value for our patients. Chairside Economical Restoration of Esthetic Ceramics, or CEREC® for short, is a unique technological advancement for dental restorations. Combining proprietary software, digital impressions, and an in-office milling unit, CEREC® allows our doctors to design, fabricate, and place permanent restorations in a single office visit. You will not need to wear a temporary or return to our office at a later date to have your restoration placed. 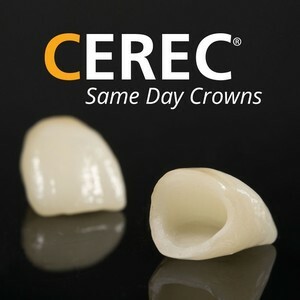 CEREC® is the pinnacle of convenience, and the custom, ceramic restorations it produces can last last for several years. We employ CEREC® for dental crowns, inlays, onlays, veneers, implant-supported crowns, and bridges up to three units. Before we begin, we will use digital imaging so that you can see what your smile will look like after your restoration has been placed. Appointments take about an hour and a half to two hours, and many patients opt to undergo teeth whitening while their CEREC® restoration is being milled. If you have ever had a dental impression taken, you know that it can be messy and taste badly. Patients with a sensitive gag reflex may have additional difficulty with traditional impression methods. For your comfort and increased accuracy, we only use digital impressions. 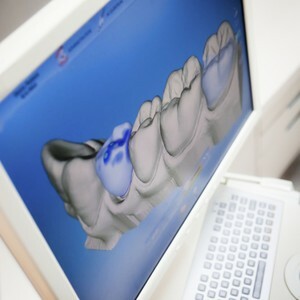 A digital scanner will take images of your mouth and create a 3-D model on computer software. The incredibly precise digital impression can be sent electronically to a dental lab or used with CEREC® to produce a custom restoration in minutes. We also use technology that allows us to overlay a patient’s photo with an image of restorations we are designing. Using digital imaging, we can let you see what your potential smile could look like, after CEREC® restorations are in place. This technology has revolutionized patient education by allowing patients to make truly informed decisions. It also lets the dentist make minor adjustments digitally, before the final restorations are fabricated. Using digital imaging, we can let you see what your potential smile could look like, after CEREC® restorations are in place. Traditional dental x-ray machines emit very little radiation, but we have a safer, more accurate and detailed option available to us. With digital x-rays, patients are exposed to a fraction of the radiation that traditional radiographs require. 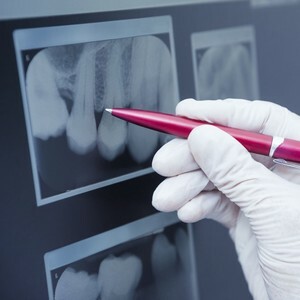 Digital x-rays produce immediate images on a computer monitor, and we have the ability to zoom in to see very fine details. In addition, because they require no harsh chemicals or development films, digital x-rays are safer for the environment. We save all digital x-rays in electronic patient records, for quick reference and easy monitoring of any progressive conditions. Today, lasers are a standard in minimally invasive medicine, and we also use them in dentistry. Our CO2 laser treats soft tissue (gums, inner cheeks, and tongue), as well as hard tissue (teeth and bone). With soft tissue procedures, no sutures are required while bleeding and the risk of infection are minimized. Our laser can prepare a tooth for a dental restoration or perform root planing, surgical incisions, frenectomies, gum contouring, biopsies, and bone regeneration procedures. In addition, we often use the laser to treat a failing dental implant. You can learn more about our advanced tools and techniques during an appointment. To experience contemporary dental technology firsthand, schedule your family’s dental visits at our North Salt Lake or West Valley City dental office today.